Looks like Dole & Kom want to make sure you'll have some decent party when this year comes to an end. The Berlin duo steps on the gas and continues its string of hi-octane dance floor releases. 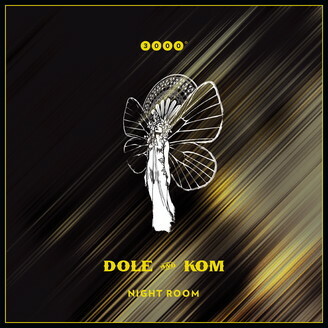 Their Night Room EP is all about variety, catchiness, and dancability, of course. Each tune has its own character and sounds different from the others. The title track, Night Room, is full of subtle hypnotism – one of those tunes that make you wanna stop talking and just dance. True to his signature style, Jonas Saalbach makes this track even more melodic. Bone For Tuna is quite different, this one is bursting with casual House Grooves and uplifting party vibes. The remix by Ante Perry cranks up the level of euphoria even more, making it a solid prime time anthem. Finally there's the title Twenty that can best be described as a mix between warm, organic grooves and catchy influences from the World Music genre. All together this EP is the perfect soundtrack for extended holidays in the world of club music.